Casey is an American YouTube personality, filmmaker and vlogger. I didn’t know much about him before I saw him speak, but he is one of YouTube’s biggest stars with over 1.3 billion views. He started out making comedic films about his everyday life and has since made films for Google, Samsung and Nike. So, it turns out that Casey makes impressive films, but how did this happen for him and why should you care? According to Casey; “It’s about this idea of grabbing on to whatever’s in front of you and running with it, without having much understanding of where it’s going to lead you,” and this is where Tarzan comes in. The Tarzan method is about knowing where you want to get to, even though you don’t necessarily know how you are going to get there. You can’t take a direct route. Instead you have to take a series of different paths, tackling challenges you had not planned for, each time making an incremental advance towards your end goal (Jane!). This life advice got me thinking about my career to date and the questions I am often asked by tax professionals thinking about joining my team at ForrestBrown. It is fair to say, that if you had told me back in 2000, when I started working in the tax team at Deloitte, that within twenty years I would own my own tax consultancy specializing wholly in research and development (R&D) tax credits and employ a team of 46 people, I would have probably just laughed. But when I look back now at the incremental steps I have taken then I myself have applied the Tarzan method without even realizing it. Each time I made a conscious decision to make a career move, I knew I wasn’t necessarily going to reach my end goal with that position, but I always took the view that it was a step forward in the right direction. Each time I made sure I learnt something new, whether it was a new area of taxation, how to run a business or how not to! I learnt what I liked in business and what I didn’t, keeping my eyes and mind open. 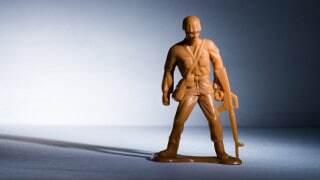 Finally in 2013 the moment arrived and I was ready to set up ForrestBrown. Well, when recruiting for the ForrestBrown tax team, concerns are often raised relating to the anxieties of specialising in just one area of taxation, thus narrowing their tax knowledge, or moving away from a large firm that offers a variety of services. This can be an insurmountable hurdle for some, but I would urge everyone to think about their own goals and in particular, the Tarzan method. As Casey said, “It’s about this idea of grabbing on to whatever’s in front of you and running with it, without having much understanding of where it’s going to lead you”. So, why not keep an open mind? Try not to worry about the distant future. You simply don’t know where something may take you and what opportunities could present themselves. Yes, ForrestBrown is a specialist tax consultancy and yes, you may think that your general tax knowledge will suffer if you join us. We are trained in the tax world to think that having a broad knowledge is superior to a narrow but deep understanding. In my view, there is so much more to it than that. 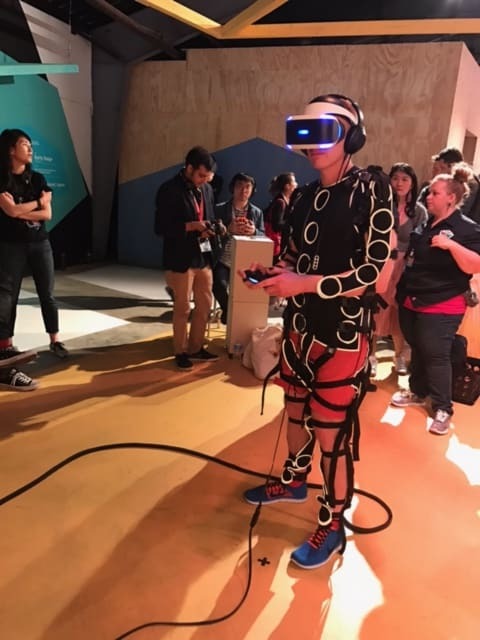 Simon Brown wearing the Rez Infinite Synesthesia Suit - a total sensory overload! The ForrestBrown team help innovative business who are creating really exciting things to grow. We feel privileged to have a window in to the future with the products, processes and services we see – and my visit to SXSW has reminded me of that. We are proud that we are in a position to build brilliant relationships with clients in exciting industries and we can do that in the way that we want to. The feeling of being valued by our clients for who we are, as well as for what we can do, shouldn’t be underestimated. It is special and I am proud that we have created a friendly environment for everyone to thrive and blossom in Bristol. My guess is that most of us have an idea of what Jane may be, but we restrict ourselves in different ways. So, wherever you are in your journey across the jungle, grab the vine and be part of something different, something special. Are you looking for a new challenge? We’re looking for talented tax advisers to join our team now. You can find out more on our careers site or call 0117 926 9022 to chat to the team.